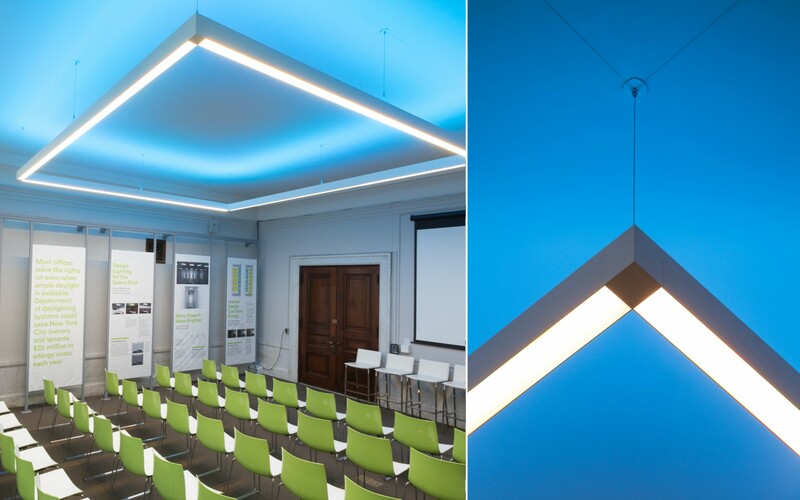 Lumentalk technology and Lumenline luminaires help give the Building Energy Exchange center a sustainable, flexible lighting system for its multifunctional classroom space. 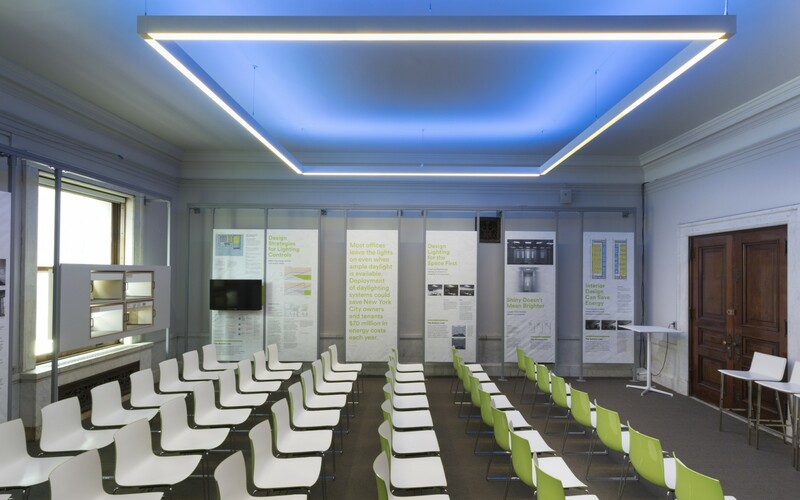 Green Light New York recently announced the opening of the Building Energy Exchange (BEE), a non-profit educational center in Manhattan dedicated to advancing energy and lighting efficiency in the built environment. 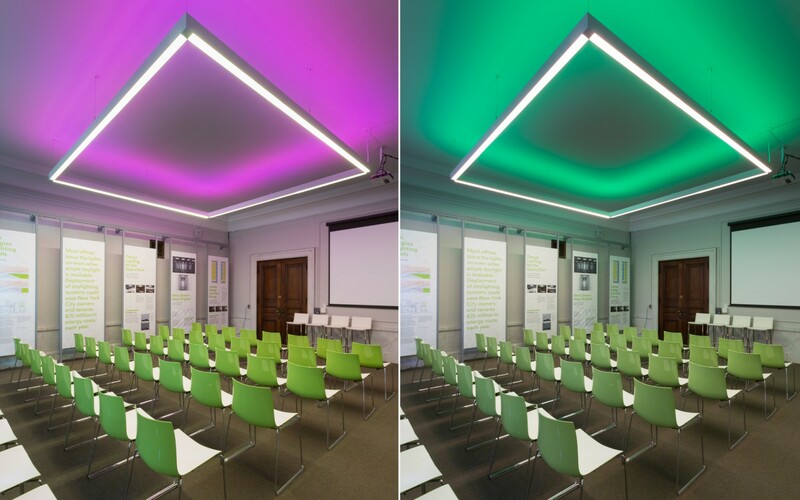 In support of this initiative, Lumenpulse has donated Lumenline luminaires with Lumentalk technology, helping the center take advantage of existing infrastructure to provide a flexible, low-energy lighting design for its classroom space. 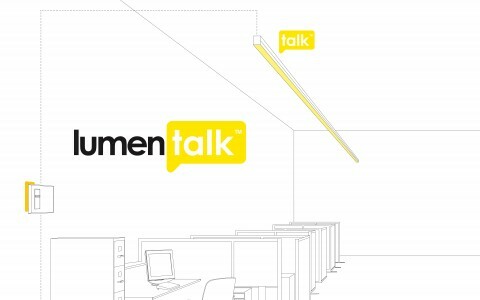 Lumentalk brings DMX control over existing AC power lines, making it unnecessary to install new cables for data. With this technology, the BEE classroom was converted to digital control and LED lighting, without having to re-wire the space for data. 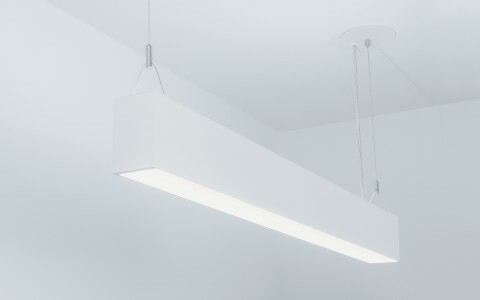 Lumenline Pendant Direct/Indirect luminaires were then mounted to form a sleek, illuminated rectangle above the space, with runs of 12 feet. 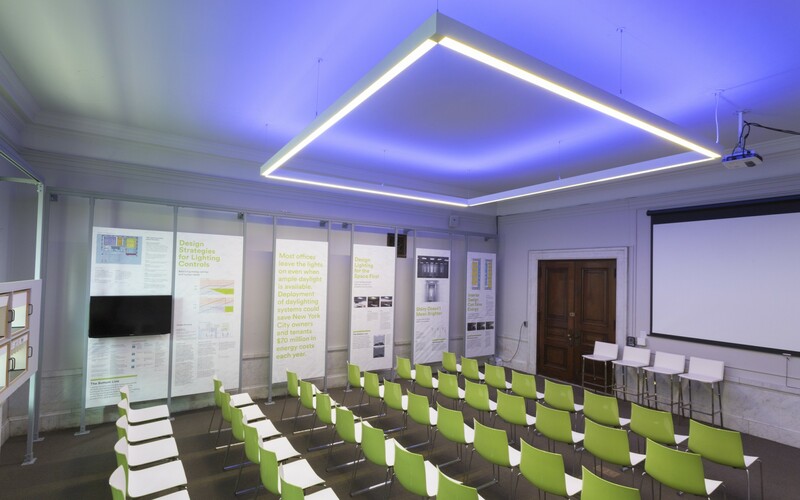 Representing a 25% energy savings over T5HO fluorescent lamps - and with Lumen maintenance of 100,000 hours (L70 at 25°C) - the Lumenline fixtures provide sustainable, long-lasting general lighting for the classroom, which is used for presentations, courses and exhibitions. 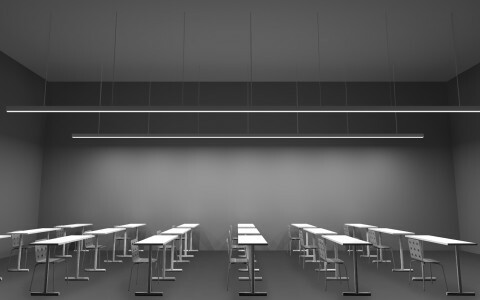 Fully programmable, the luminaires also give BEE the ability to adjust the look and feel of the multifunctional space as needed.